As humans, we love telling stories. Our love for stories dates back to the beginning of time. Think about the myths and legends that have been passed from generation to generation. Sure, storytelling is a buzzword at the moment. It’s all the rage, but for good reason. It’s not just jargon. It’s an amazingly powerful way to engage and connect with your customers. Take your customers on a journey with your brand. Get them to know you. Make them believe and trust you. Forget about facts and figures. Sure, they’re important, but customers really want to know you.Stories hold the real power to change someone’s mind. Business, like all relationships, is a two-way street. There’s give and take. Take a moment to think about your own experience. You choose your brands and businesses based on how they connect with you as well as how you’re treated. I bought a coffee the other day and 10c of their profits went to a local children’s foundation. They left a little note with my coffee sharing why they do this and what they believe in. That aspect of their brand story made me like the business. Now I go there every day. Social media has turned us all into storytellers. It’s given us the power to converse with companies, unlike never before. Businesses are now using Facebook, Instagram and other social profiles to become publishers. But nothing is worse than generic, run of the mill content. Now there is a huge opportunity to use digital platforms to share compelling stories. No one wants to hear about what your growth was, last quarter. They’d rather hear a personal story about a client you helped. You’re not talking about yourself, it’s all about your client, and what matters to them. And potential clients. Don’t add to the clutter. Share meaningful stories. Storytelling, in its essence, is being open and sharing something real with your customers. People respond to stories. They’re what connects us with our past and provides an insight into our future. 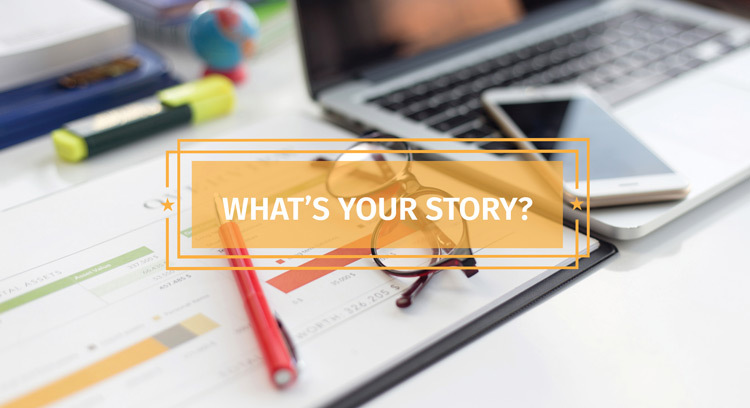 Leverage stories in your marketing. Airbnb are a great example of a company telling a great story. Airbnb is all about the customer. It’s marketing 101, but boy do they do it well. Instead of telling the company’s story, they get their customers to share their journeys. They have an entire section focused on their community. Here, other travellers can experience what the guest did, to see what an Airbnb stay looks like. It’s this authenticity people respond to. They’re looking for a real, local experience. Airbnb’s tagline, ‘belong anywhere’ encapsulates this. But there’s always going to be some hesitation new Airbnb-ers might have staying with a stranger. But using articles, video and imagery of travellers using the platform, they’re telling the stories of the hosts – not just the travellers. This puts guests minds at ease. Just like Airbnb and many other companies did, embrace storytelling in your marketing. There’s no better way to connect than with a good old story. I’ll leave you with some food for thought.